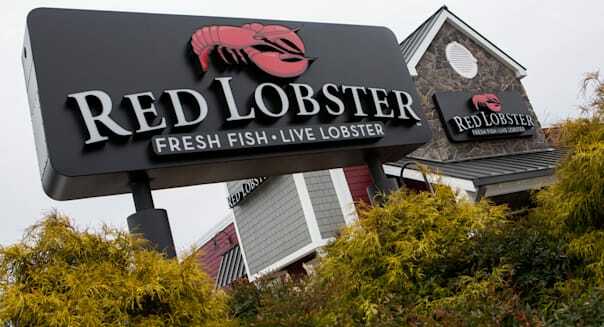 Activist investor Barington Capital Group said Monday it was disappointed with a recent plan by Darden Restaurants (DRI) to spin off its Red Lobster chain to enhance shareholder value. Barington, which leads a shareholders' group that owns a stake of more than 2 percent in the chain, said in a statement it views Darden's plan "as incomplete and inadequate." "Darden's board of directors and management team are focused on creating value for all Darden shareholders," a spokesman said in a statement. "We are confident that our plan, together with actions we are taking to enhance guest experiences and reinvigorate demand, will lead to improved performance in our restaurants and substantially increase value for all Darden shareholders." New York-based Barington, which has previously urged Darden management to break up the company and explore spinning off its real estate properties, %VIRTUAL-article-sponsoredlinks%said it was particularly disappointed that Darden's plan failed to unlock value from the company's real estate holdings. Barington estimates that Darden's real estate could be worth $4 billion. Barington has recommended Darden explore creating a publicly traded real estate investment trust to get full value for the real estate assets. Barington also said it believes that just separating Red Lobster from the rest of Darden will still leave the company with too many brands. "Unfortunately, Darden's proposed plan appears to us to be more of an attempt to do the minimum necessary to maintain the status quo than an effort to formulate a truly comprehensive strategy to improve long-term shareholder value," the fund said its statement. Barington recommends that Darden split into two companies: one for Olive Garden and Red Lobster, and the other for its higher growth brands, including LongHorn Steakhouse, The Capital Grille, Yard House and Bahama Breeze. Darden, which manages eight restaurant brands, has become too large and complex to compete with its rivals, Barington has said. Activist investor Starboard Value has also come out publicly in favor of pushing for change at Darden. Darden shares fell 0.4 percent to $51.92.